We far too often associate eating healthy with eating boring. This is not the case, you can have fun and exciting meals whilst still losing weight and being healthy. 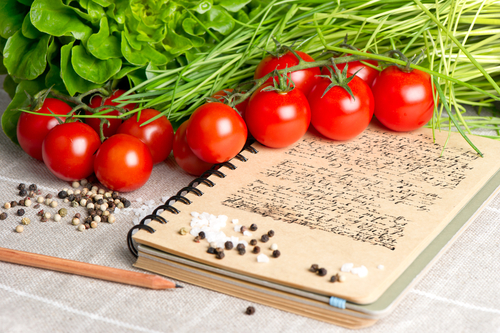 With the help of gastric bypass hypnosis you will change the way you perceive food and start to enjoy these delicious recipes below. Salmon is a great food if you’re trying to lose weight, low in fat and high in protein. Baking it with a maple glaze adds an extra richness of flavour without being overly indulgent. Eating Healthy is not a reason to cut out dessert. Gastric bypass hypnosis helps us to overcome our cravings for high calorie junk food. These banana bites dipped in chocolate are a treat, but are a much healthier alternative. The perfect all in one, easy to prepare and very healthy to eat. Chunks of lamb with all manner of vegetables to make a delicious and super healthy broth. Cheap to make and will last you all winter. We have all had pepper stuffed with cheese and other delicious ingredients, a great healthy alternative is to stuff your pepper with couscous and roast. Very filling whilst putting you well on your way to losing weight. A brilliant breakfast replacement. Sprinkle a bit of sugar over your grapefruit and bake. The result is a delicious sweet and healthy breakfast to start your day. Grapefruit has long been associated with weight loss and gastric bypass hypnosis will help you stick to these healthy recipes. All the fun of a normal burger but without all the calories! Turkey meat is much lower in fat and is high in protein, making it a great replacement for plenty of meals. – Delicious with a BBQ glaze. Replace your traditional chickpea hummus with red-lentils. They’re high in protein and low in fat, offering an even healthier alternative. Dry dipping Carrots into them for the perfect weight losing snack. Spice up your salads and reinvigorate both your diet and body with this great healthy meal which packs a punch. Prawns are a great source of protein to fill you up, whilst the salad aspect more than covers being low fat. The chilli helps kick start your metabolism to have you on your way to losing weight. Succulent pork tenderloin medallions roasted with an array of vegetables such as butternut squash, sprouts or sweet potato and parsnips. Filling, tasty and easy to make. Using whole-wheat pittas as the base for your home made pizza is a great way to initially cut down on fat. However you can go further by replacing your traditional cheese with some Greek feta and loading the pizza with vegetables to get your body fat burning. A delicious and surprisingly easy to make alternative. 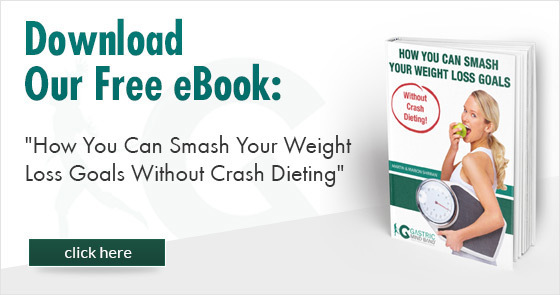 To see more great advice on losing weight or to find out how the hypnotic gastric bypass can help you, then download our free guide How to Smash Your Weight Loss Goals Without Crash Dieting. Simply click on the button below to download your free copy now.